In addition to the design and shipbuilding, in Sarch we develop and manufacture parts for industry and we also carry out ship refits and repairs of composite parts. We apply our know-how in the world of composite for the development and manufacture industry parts. Composite pieces lighter and more resistant than the usual materials for industries as demanding as the food industry. We restore and set-up your boat. In Sarch we were fortunate to carry out the restoration work of a Manzanita. We replaced the entire interior wooden structure with composite one, reinforced the hull, made a osmosis treatment, and lightened it 200kg. We gave life back to this beautiful racing boat. 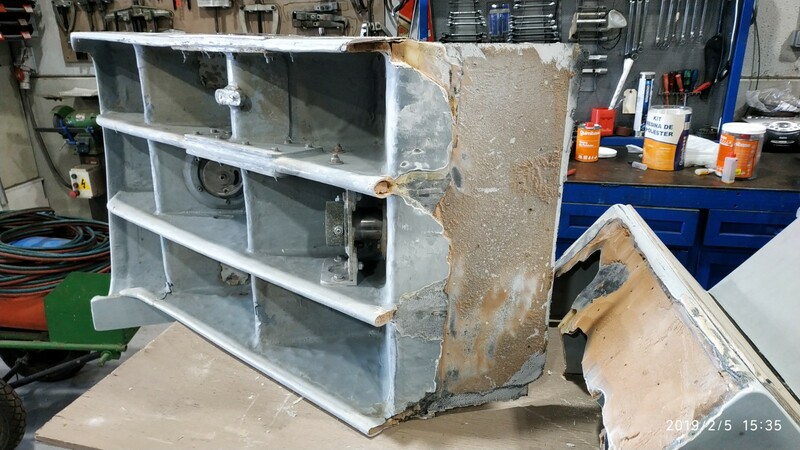 We repair a composite parts from your boat.